The KT&G Welfare Foundation carried out ecological restoration volunteer activities of planting young seedlings at Bukhansan. National Park with 100 college students volunteers on April 6th. Participants of this ecological restoration volunteer activity carried out activities such as planting 2,000 arrow trees in the deforestation area near Songchu valley in Bukhansan National Park and removing weeds so that young seedlings can grow well. A Welfare Foundation official said, "Recently, people's awareness of the importance of planting trees has improved a lot due to subsequent air pollution such as yellow dust and fine dust." "We will continue to practice ecological restoration activities through planting and forest restoration projects. " KT&G Welfare Foundation has been carrying out ecological restoration activities by planting about 10,000 trees for 7 years in Bukhansan National Park by this year with a catch phrase that says 'Let's preserve natural parks in the city' since 2013. Previously, the Welfare Foundation had volunteered to plant 38,000 trees in the area near Yangyang Naksansa in Gangwon Province for seven years from 2006 to 2012. 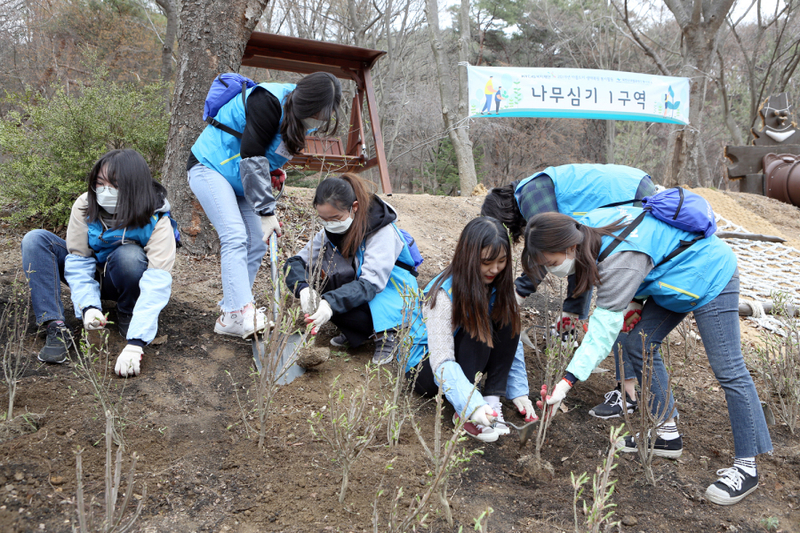 ▶The KT&G Welfare Foundation carried out an ecological restoration volunteer project with planting young seedlings at Bukhansan National Park with 100 college students volunteers. The photo shows volunteer group photo shoot. 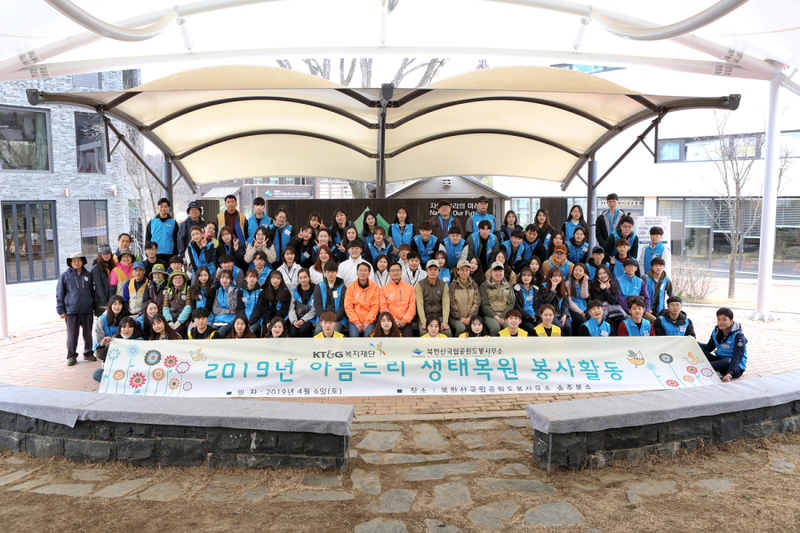 ▶ KT&G Welfare Foundation carried out an ecological restoration volunteer project with planting young seedlings at Bukhansan National Park with 100 college students volunteers. Photo shows volunteers planting seedlings.